Cruelty-free fashion in general and vegan handbags, in particular, have gone mainstream in a big way. 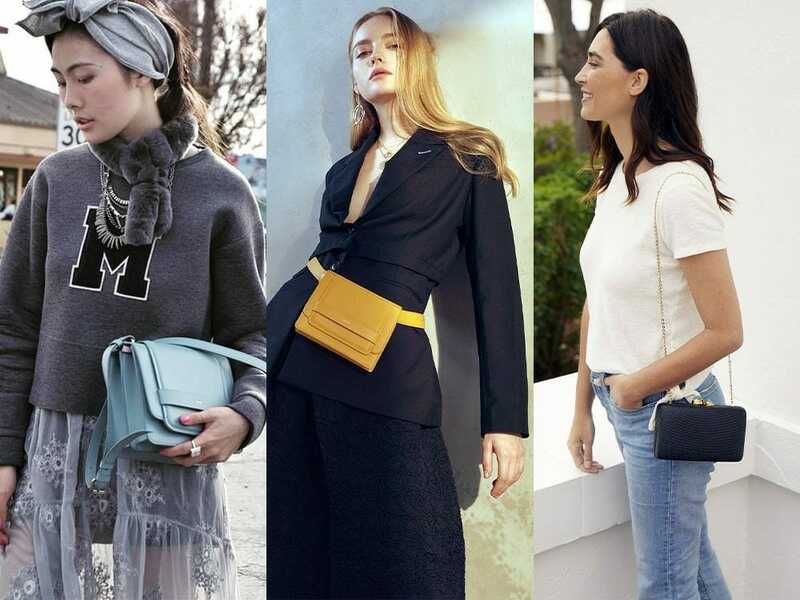 A great looking handbag is a perfect accessory to a woman’s outfit but, if you are not a fan of sporting animal skins on your arm, don’t fret, there are plenty of choices. Choosing a handbag made from vegan leather will let you ‘kill two birds with one stone’ – pun intended -, save animals while looking very trendy and chic. That’s why, WTVOX rounds up the most beautiful ethical, eco-friendly and vegan handbags equal to – and even better than – their leather counterparts. Whether you need to upgrade the handbag you use for work, have a big wedding to attend this summer, or you’re planning a night out with the girls, these vegan handbags will do the job while also complementing your summer wardrobe. Inspired by the simple motto “Live beautifully”, the brand depicts the appreciation of humanity, positivity, and creativity that is in us all. The brand is full-vegan brand and free from animal products, gathering inspiration, hues, and textures from the mother nature. The founders have made a conscious decision not to use leather or other kinds of animal-sourced materials in any of their products. Matt and Nat – MAT(T)terial and NATure – label uses a wide range of recycled materials including cardboard, cork, rubber and nylon in their products. Since 2007, the brand has stayed committed to the use of linings made from 100% recycled plastic bottles. 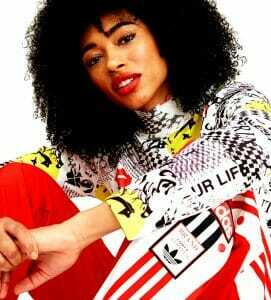 More recent, the brand uses recycled tires from bicycles as the new ‘repertoire’ of lining materials. The word “Kayu” means “wood” in Malay and was founded by Jamie Lim, a fashion lover raised in South-East Asia, surrounded by local, tradition-rich, artisanal crafts. When Jamie began to observe that the classical arts she had been surrounded by as a child were disappearing, she decided to explore new ways to preserve and display them. As such, Kayu was born as a reflection of her childhood memories. While based in California, Kayu works with highly-skilled artisans rooted in their traditions, from the Philippines, Thailand, Malaysia and Indonesia. The brand also provides job opportunities to locals who are in need the most. 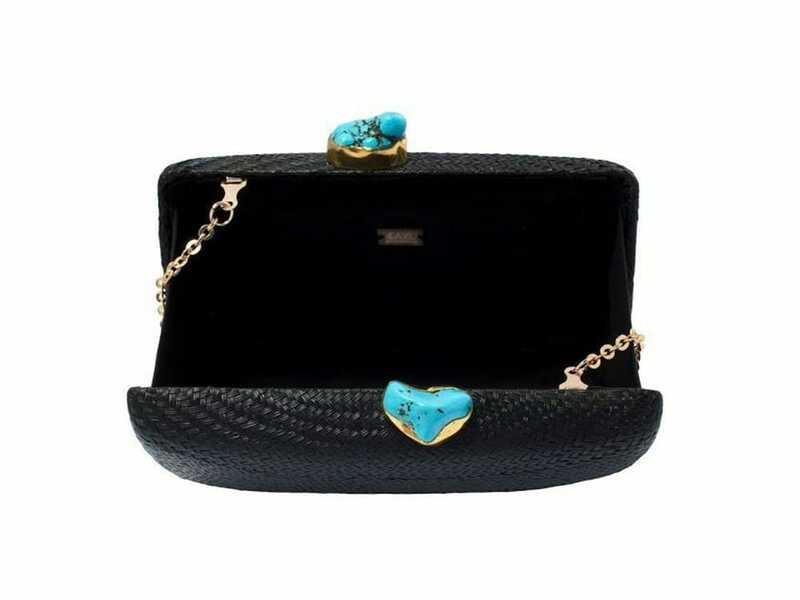 The final handbags are a beautiful blend of Californian designs with the rich diversity of South East Asian craftsmanship. Kayu products are unique for not being built in soulless factories engaged in mass production of identical products. Kayu manufacturing units consist of small groups of families and friends – grandmothers, daughters, sisters, mothers and neighbours – preserving the rare art of close-knit bonding. Kayu is vegan-friendly and sustainable, the two magic words that matter here. All the products are created using natural materials such as shells, straws, and wood. We love Kayu and their exclusive, unique, and rare hand-made vegan handbags. However, as the brand only releases very limited batches, it might be hard to get your hands on their best vegan handbags. 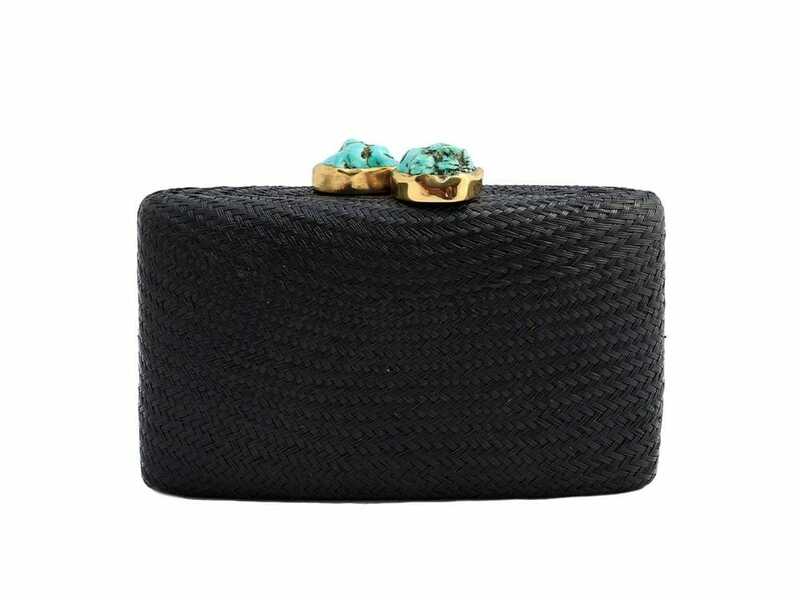 That being said, our recommendation for you is the Jen Straw Clutch with Turquoise Stone! Made in the U.K., this brand seeks to spread kindness and compassion towards all living things, as a mark of a civilised society. 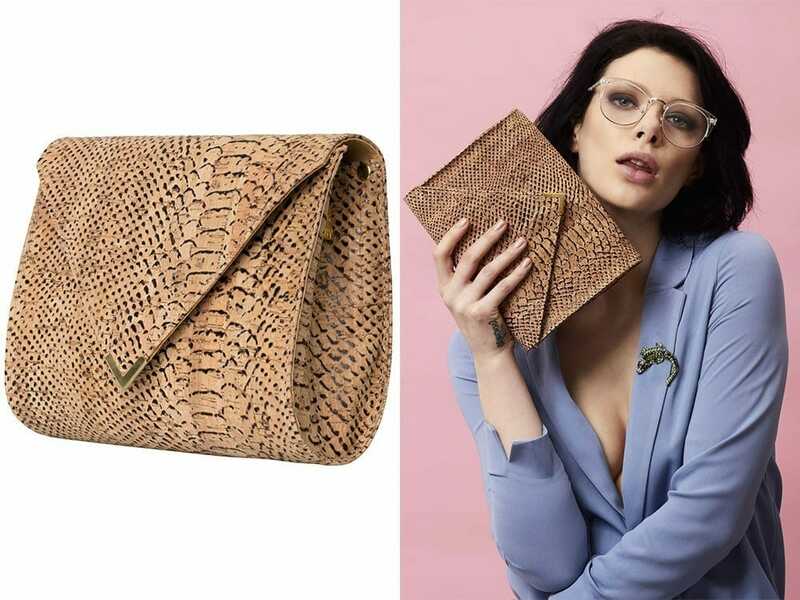 Founded in 2013, Wilby is a UK-based manufacturer of vegan fashion, specialised in the ‘clutch’. The brand is both, ethical and fashionable for the consumer who can be safe in the knowledge that they are helping the environment in some way with every purchase. While the company also use organic and eco-friendly materials such as organic cotton and lining, recyclable cloth, eco-friendly backing and cork leather, all of the brand’s bags are vegan approved by PETA. With a minimalist JW Pei style somehow similar to Matt & Nat, this brand specialises in patina made vegan bags. Made from high-grade polyurethane resin and ultra-fine microfiber bundles, patina mimics the structure of real leather. The technology isn’t new but JW Pei it brings it to vegan bags, as it’s soft, beautiful and durable. The lining of their bags is made from 100% recycled plastic bottles. Moreover, whilst over 50% of all their plastics are recycled now, the aim is to make this 100% in two years and replace all major materials with recycled materials over the next 5 years. 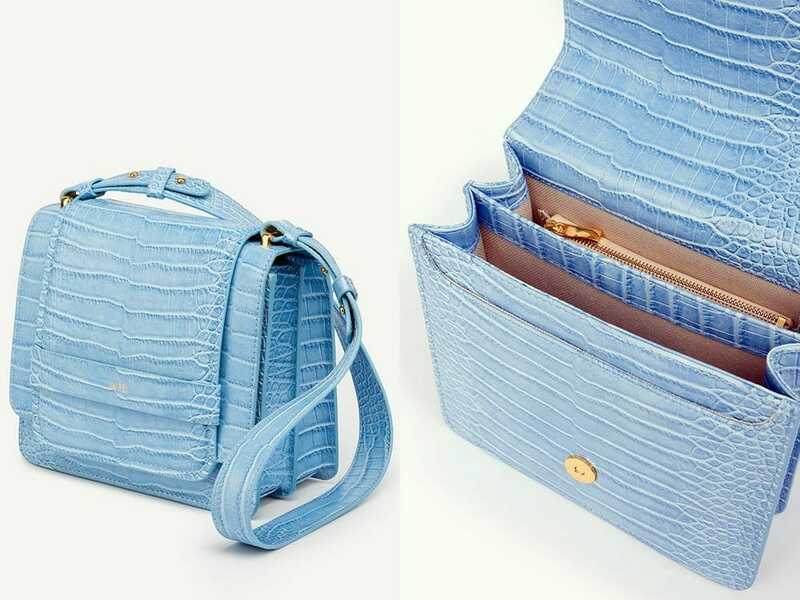 You can order your JP Pei Ice Croc Fiona Bag from here. Lee Coren designs are the meeting point of two great sources of inspiration; the beautiful chaos of urban daily life mixed with the serenity and escapism of natural landscapes. 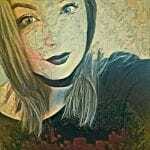 All materials are sourced and produced locally and ethically, using cruelty-free, vegan-friendly materials. But there’s more to Lee Coren; the brand supports safe and fair working conditions across their entire supply chain. More important, the designs are original, playful, versatile and convertible, made to suit your every day changing needs. Our favourite Lee Coren vegan bag is the Wanderlust Rolltop. 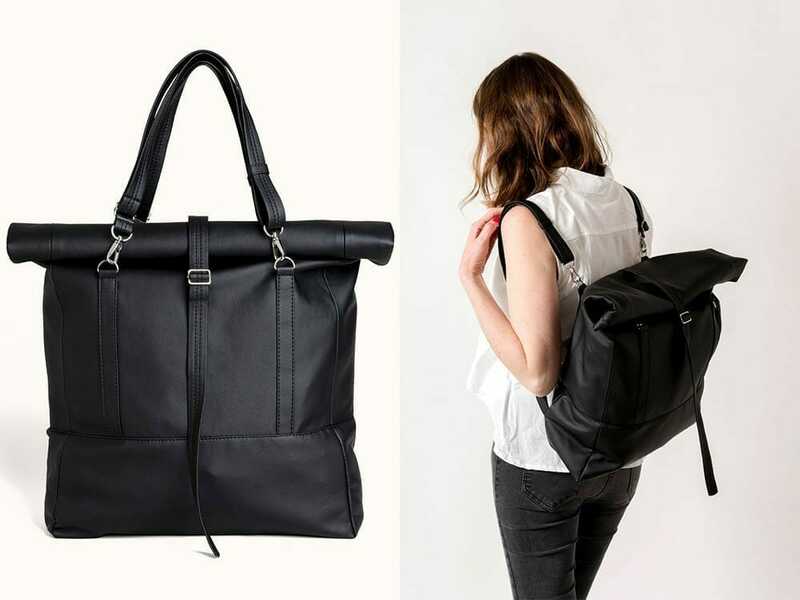 A sleek vegan leather commute and a travel backpack that can convert into a large tote bag. The top zip closure of the bag and its roll makes it extra anti-theft. Order yours from here.